The cover story of this week's New York magazine is a delightfully lengthy interview with Chris Rock by Frank Rich and in it, Rock expounds race relations in America, whether his kids think he's funny and his love of Nancy Meyers. He's the first cable-television president, and the thing liberals don't like about Obama is that he's a network guy. He's kind of Les Moonves. He's trying to get everybody. And I think he's figured out, and maybe a little late, that there's some people he's never going to get. Here's the thing. When we talk about race relations in America or racial progress, it's all nonsense. There are no race relations. White people were crazy. Now they're not as crazy. To say that black people have made progress would be to say they deserve what happened to them before. ...to say Obama is progress is saying that he's the first black person that is qualified to be president. That's not black progress. That's white progress. There's been black people qualified to be president for hundreds of years. If you saw Tina Turner and Ike having a lovely breakfast over there, would you say their relationship's improved? Some people would. But a smart person would go, "Oh, he stopped punching her in the face." It's not up to her. Ike and Tina Turner's relationship has nothing to do with Tina Turner. Nothing. It just doesn't. "My children are going to be the first black children in the history of America to actually have the benefit of the doubt of just being moral, intelligent people," Rock says. And speaking of his children: "My daughter Lola was like, 'Kevin Hart's funnier than you.'" SORRY LOLA NOT TRUE. 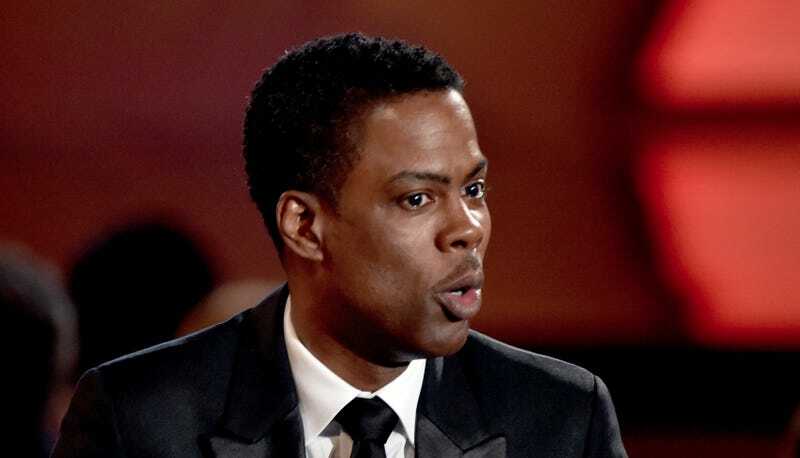 Rock also praises Joan Rivers and her ability to continually update her jokes and keep them fresh, before arguing that comedy is "the only thing that smacks Hollywood out of its inherent racism, sexism, anti-­Semitism. It makes people hire people that they would never hire otherwise. Do they really want to do a show with Roseanne Barr? No, they want a thin blonde girl." And at times, like at the end, it's almost a romantic comedy. There's a sprinkle of Ephron in there. Just a sprinkle. I can't pour on too much Ephron. She and I used to talk about making a movie all the time. She always used to say to me, "Are you ready to walk? That's the only way we're going to make a movie. We're going to have to do a lot of walking and talking." She would've directed it. I wanted her to direct me really bad. I'd love to do a Nancy Meyers movie. Who's a leading lady you'd like to be up against? I don't know. Kerry Washington? It can be anybody though. Whoever she likes. I love her. It's nice taking your mother to a Nancy Meyers movie. It's tradition. They should have one every Thanksgiving or Christmas.